As of January 6, 2015, Chase decided to end its run with the Chase Sapphire Card mainly because of the popularity of the Chase Sapphire Preferred Card. That’s good news for people who use their credit on hotels, dining out, and airfare and bad news for people who use it on groceries and standard purchases. When it comes to rewards, Chase is a frivolous giver, which is good for the customer. Anyone spending $4,000 within the first three months of signing up is awarded 40,000 reward points. Customers that add an authorized user within that same time span receive an extra 5,000 points. 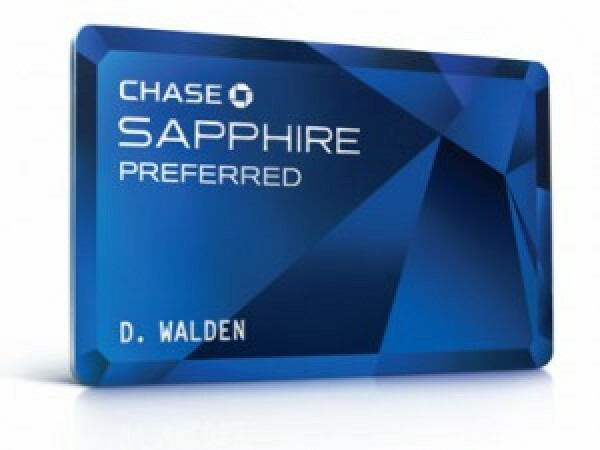 All told, Chase hands out 45,000 total points on its Chase Sapphire Preferred Card and they’re redeemable for $450 — or other options worth far more. The most standard way to redeem the points is for a little wallet-fattening green. Chase gives 1 cent per point, which is where the $450 figure above comes from. If cash and cash-valued gift cards are all you want from a card, then you’ll be fine. However, if you’re looking for more — especially travel — you’d be better off choosing option 2 (below) than redeeming points for cash. If you use Kayak, your points are worth about 1.25 cents apiece. That’s because Chase gives you the option of booking any flight (without changes in prices) with the option of paying $100 in cash or redeeming 10,000 points. The points are still worth only 1 cent a piece; however, because Chase also gives you a 20 percent discount on the total price, the math ends up working in your favor to the tune of 1.25 cents per point. If you happen to be an owner of the Chase Freedom card or another card that earns Ultimate Rewards, you can transfer all of those points onto the Sapphire Preferred account and up the amount your points are worth beyond the 1 cent per point rate. Despite everything that’s good about this card, there are a few things that might veer potential customers away from it. For starters — literally — there’s no annual fee. But after that first year, Chase charges customers $95 each year. There is also no intro APR, which might be good or bad depending on who you are and how you spend. Instead, Chase opted to go with a variable APR rate starting at 15.99 percent. That nearly doubles to 29.99 percent if you happen to violate one of its penalties, although, they’re pretty standard things such as late payments and having your account go above its limit. If you want to use the available funding on your card for a cash advance, it’s also going to cost you about 20 cents for each dollar (if you pay it back on time) at 19.24 percent APR. Of course, if you’re the type of person spending $4,000 in three months on your card, that APR might not be enough to deter you. With that said, if you can afford the card, and you travel a lot, the card’s not a bad piece of plastic to have in your wallet.